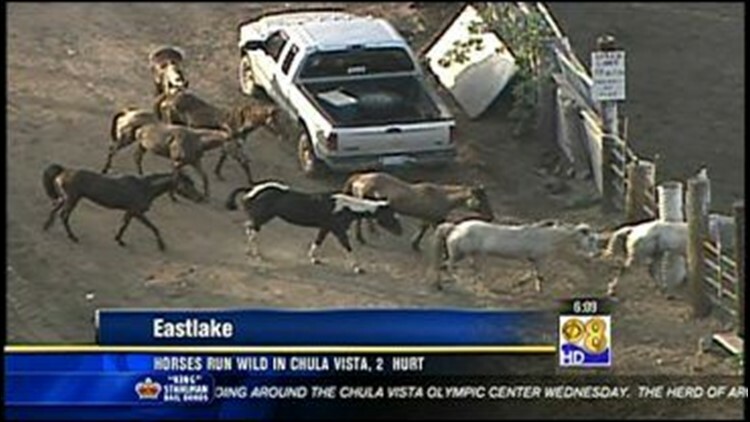 CHULA VISTA (CBS 8) - A herd of horses is safe in a temporary pen Thursday morning, after running wild in Chula Vista. The humane society says it's unclear who owns the 15 horses, where they came from and how they got loose. They made their way through Eastlake and the Olympic Training Center. A man on another horse rounded up the animals near Donovan State Prison. Two were separated from their mother. A humane society officer helped to calm them down. The two were taken to Jamul where a vet checked their injuries. If no one claims the horses, they'll be turned over to the City of Chula Vista.